Most E-commerce companies don’t concentrate on building their brand offline, as all of their sales are done online. However, a growing number of digital-first brands use offline promotional tactics to improve their business, and it’s no wonder – offline marketing can be very profitable, especially when it’s matched with online marketing strategies for ecommerce. So, if you would like to try out some offline marketing strategies, here are campaigns you should try out. Even though the internet has taken over the world in terms of marketing and promotions, there are still some printed materials that are unjustly underestimated. Let’s mention business cards first. You definitely need to share your business card each time you meet someone new, but you could also drop them any place you find suitable, like public bulletin boards, at libraries in books connected to your area of work or any other enterprise at the reception, if it’s allowed. Be creative! Another printed material is catalogs – even though your business is online, people will still find catalogs pleasant to browse if they are beautifully designed. They are the most visually-alluring tool to capture your target audience. You could send out your own catalog that can be ordered via email or you can supply larger stores for their customers to have them free of charge. The human, direct part of the process of shopping will always be missing in E-commerce. This is why a pop-up shop could be a useful replacement for actual stores in the streets. 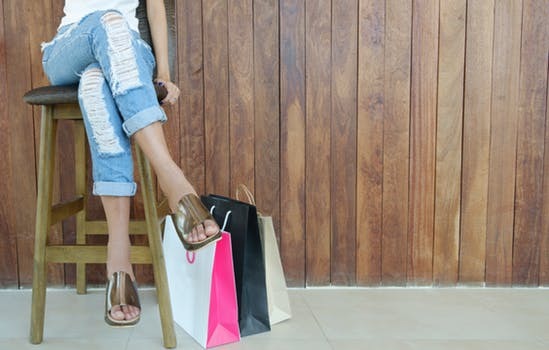 You don’t need to risk a lot by launching a big store in a high street, but better turn to a pop-up shop as a more cost-effective alternative that can be even a temporary marketing strategy. If there are some customers out there shopping for real, it’s great to have an opportunity to meet with them face-to-face and present them your product. They will be able to interact with the product, which is impossible when they are browsing an online store. In case they like what they see and feel and buy it immediately – it’s one more way to increase your sales and promote your brand! A trade show is an exhibit or a marketplace of a specific industry. If you have a huge collection to represent and you feel ready to include yourself in the process of the wholesale buying, this should be your next step. It’s an opportunity to showcase your products to new potential distribution channels. Bearing in mind the fact that these shows are industry-specific, you will be presenting your products to much targeted audience, have a chance to meet potential customers, suppliers and brands with similar products – this is how you’ll get a wider reach. First, you need to make sure that you are present at the right shows. You can form lasting relationships if you play your cards well. Be sure that the space you design has a clear point of view and draws audience’s attention. You could give out a few promotional items or organize a contest that includes giveaways in case of an interaction. Presenting can be very exciting and useful, but you need to be prepared for some investment. Many companies such as DisplayME are frequently contacted regarding the complete equipment so that the presentation is worth the time and money. You’ll need a booth, build-out of displays and marketing collateral, but you also have to take care of Wi-Fi, electric and premier placement both in catalogs and on the floor. An effective and cheap way of reaching your customers is to form a partnership with other similar brands who are only present offline. It’s a two-way street – in return for them promoting you, you will promote their products on your online store site or you will include them in your marketing strategy. You can present certain products of yours in their stores or have your flyers at their cashier or till. Even though E-commerce lives and thrives on the internet, a couple of online marketing efforts can make a big difference in the overall sales and brand awareness. If you want your business to improve, you need to explore more ways to ensure the sales.